The Hornets mercifully have just one game left in what has been a disappointing and depressing and lost season. They got a full and productive year out of Kemba Walker and surrounded him with the 13th-highest payroll in the NBA, and converted it all into a crappy, sub-.500 season and a third-place finish in the lousy Southeast Division. Next season their projected payroll jumps by about $2 million, up to the ninth-highest in basketball, with absolutely no reason to believe they’ll be appreciably better on the court. Outside of Walker and the recently frisky Malik Monk, the cupboard is darn close to bare. A huge problem for the Hornets has been offensive talent. While Steve Clifford has been creative and successful at wringing half-decent production out of limited dudes like Marvin Williams and Cody Zeller, the Hornets have still mostly been The Kemba Walker Show for the last few years, with wildly inconsistent secondary production from Nic Batum and now Dwight Howard. The Hornets are a middle of the pack offensive team in 2018, and with a backsliding defense, they appear to be nowhere close to forming a real contender. Add to that the fact that Walker’s bargain contract runs out after next season, and the Hornets would seem in desperate need of a period of rebuilding. That’s the situation into which Kupchak, celebrated longtime general manager of the Los Angeles Lakers, will step, starting this offseason. That’s a long way down for Kupchak, from helming one of the NBA’s marquee franchises to one where the closest thing to prestige comes from an owner who all evidence indicates is pretty bad at directing an organization. 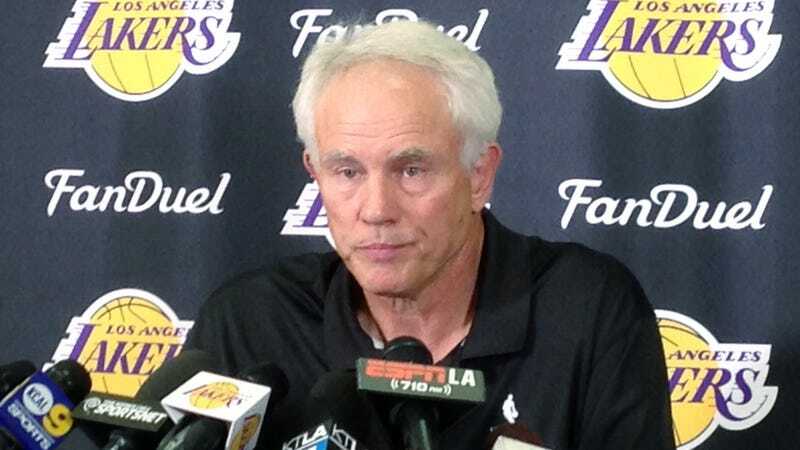 Kupchak had a lot of success over his 17 years in Los Angeles, but so much of it was powered by superstars and the allure of the city and the prestige of the organization. Charlotte will be a very different project: ESPN says Charlotte pulled the fifth-fewest fans per game this season; Forbes says the Hornets are the third-least valuable franchise in the league. The Hornets have made the playoffs just three times since 2004, and have won just three total playoff games. The organization is roughly nowhere. Hey, at least Kupchak and Dwight Howard will be reunited! Because that worked so well last time.